The tomatoes and peppers are first broiled in the oven to both soften them and facilitate removing their skin. The vegetables are then puréed with a flavourful mixture of olive oil, garlic, water and bread (instead of baguette, I used panko crumbs). Once smooth, the soup is then strained and chilled before eating. 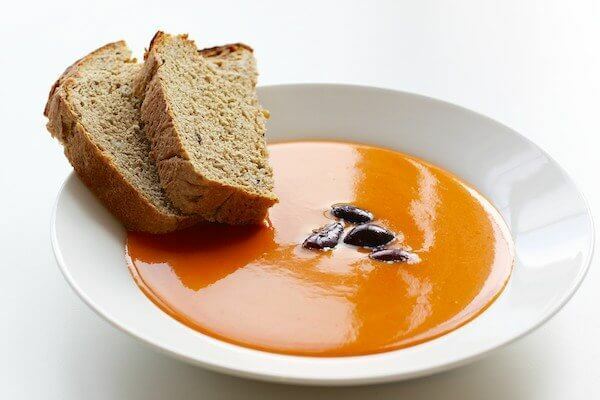 For cold soups, the smooth texture of a strained soup really makes the difference. This makes the perfect summer lunch or dinner starter.